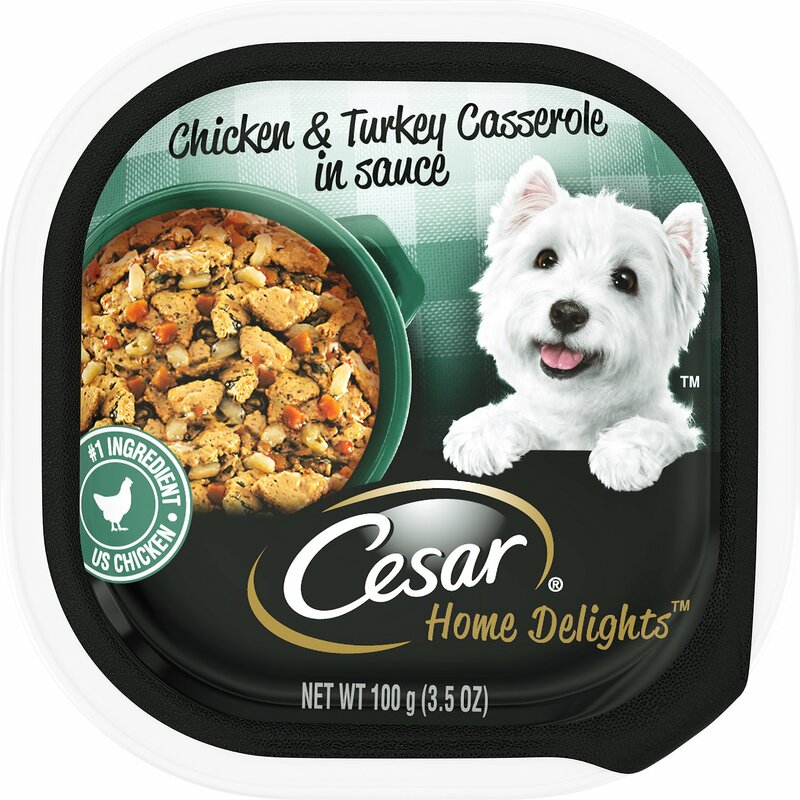 Treat your pup to the taste of a home cooked meal with the Cesar Home Delights Chicken & Turkey Casserole Dog Food Trays. Featuring a gourmet recipe of savory chicken and turkey, this delectable comfort food will get tails wagging at mealtimes. 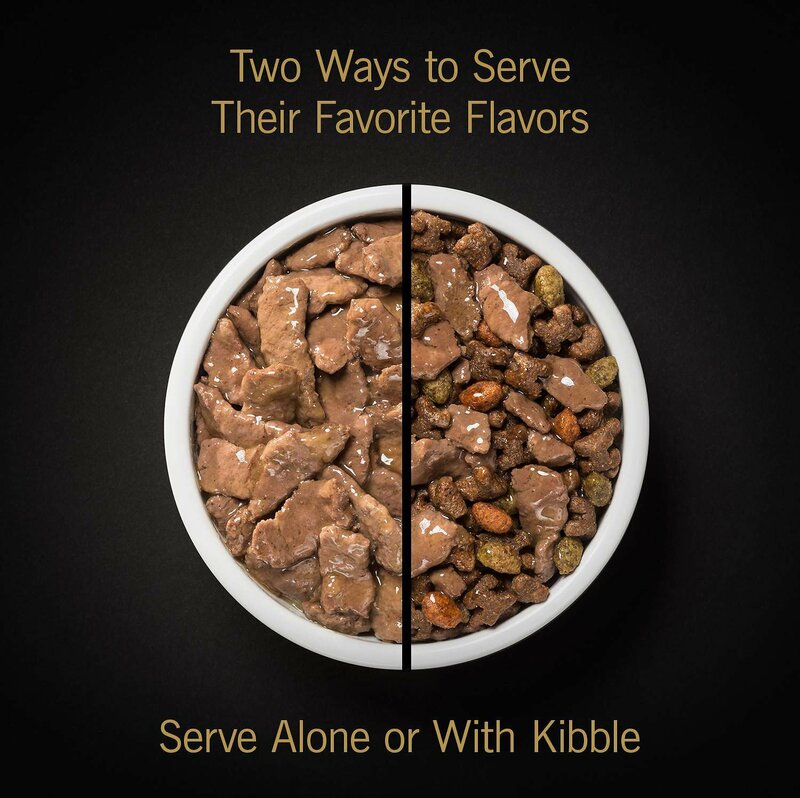 Delicious when served alone or mixed with kibble, the high-quality food is fortified with vitamins and minerals to deliver taste and nutrition in one easy-to-serve tray. Because if it sounds appealing enough for you to eat, then you know it’s good enough for your precious pooch. 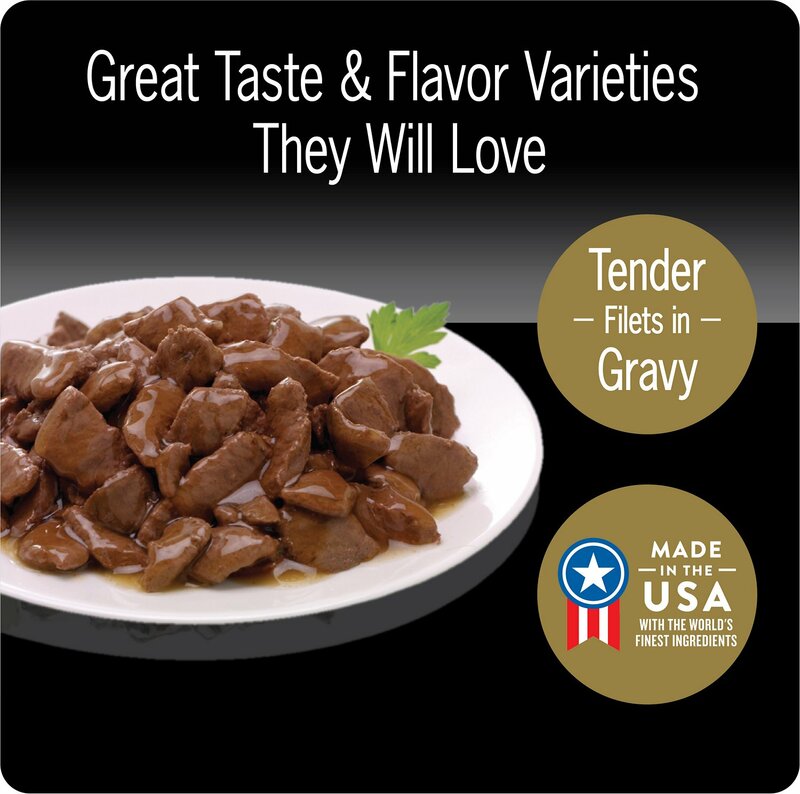 Features delectable chicken and turkey flavors for dogs with refined tastes at any time of day. Sufficient Water For Processing, Chicken, Chicken Liver, Turkey, Animal Plasma, Wheat Gluten, Corn Starch, Rice, Dried Cheese, Dried Carrots, Pea Fiber, Minerals (Potassium Chloride, Calcium Carbonate, Magnesium Proteinate, Zinc Sulfate, Copper Sulfate, Potassium Iodide), Natural Flavor, Spinach, Salt, Wheat Flour, Vitamins (Choline Chloride, Vitamin E Supplement, Biotin, D-Calcium Pantothenate, Thiamine Mononitrate [Vitamin B1], Vitamin B12 Supplement, Riboflavin [Vitamin B2], Vitamin A Supplement, Vitamin D3 Supplement, Pyridoxine Hydrochloride), Sodium Tripolyphosphate, Added Color, Parsley, Xanthan Gum, Guar Gum, Sodium Nitrite (For Color Retention). Pups didn't love my choice! 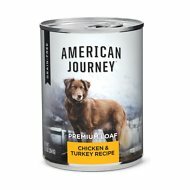 I thought this flavor would be a big hit with our pups as they love the other poultry dinners. Also, the mixture was chopped even smaller than other flavors and I figured that was another plus. For some reason they aren't eating this one as well. Perhaps it's the herb seasoning they don't like.. but I probably won't buy this flavor again. Cocoa really likeks this Chicken & Turkey Casserole and also the Turkey Green Beans and Potatoes. I'm very please. She nibbles on the Rachel Ray Nutrish. A BIG HIT IN OUR HOUSE!! Our 9 yo Havanese loves this stuff, and this is her favorite. 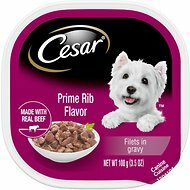 I recommend Cesar Home without hesitation. My Rottweiler mix refused to eat this dog food. I don’t know why? 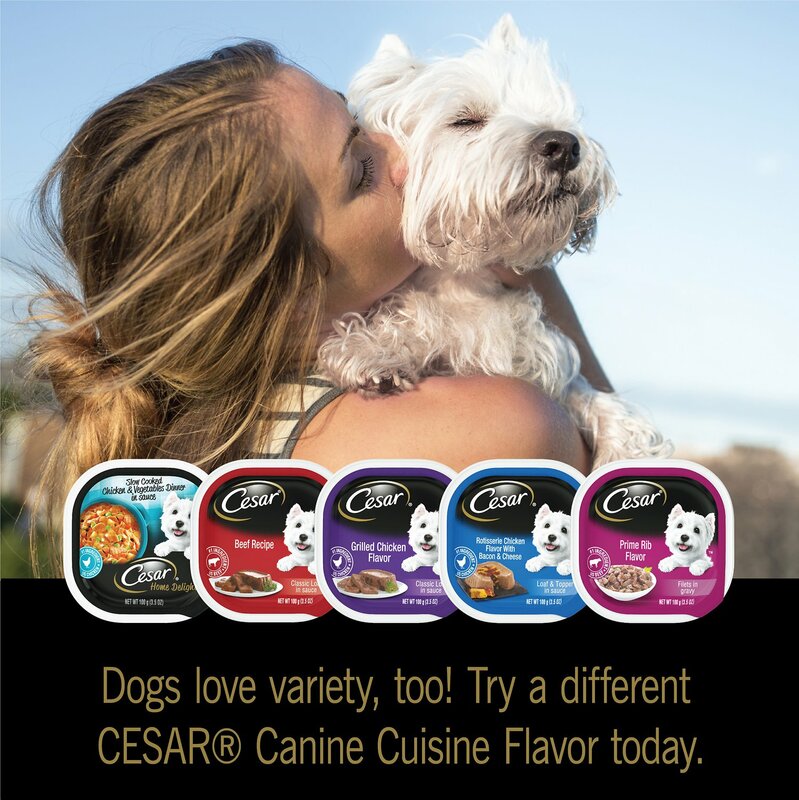 I use Cesar’s as an add in for my 3 dogs dry food. I like to change the flavors up a little. They like all of the Cesar’s flavors. We feed our dog twice a day, and it is perfect amount, best of all he loves it! We have a Bichon, Westie and a Scotty and some times a Jack Russell - (3) terriers and a love bug! They are all spoiled and at dinner time they all have their individual habits about eating, the Scotty and the Russell dig right in, the Bichon checks everyone elses dish first and then eats, the Westie, is the oldest and waits until everyone eats first. I makes for an interesting dinner time! My Bichon, Maltese, and Yorkie, are very picky eaters and generally will Not eat commercial dog food. Until, I tried the Home brand of Cesar's. The Chicken and Turkey Casserole is small in size and the Yorkie (who has few teeth) has no problem eating it. The food resembles human food and really is a huge improvement over the old style Pate dog food. I love all the products I buy, but more importantly my dog loves them too. I am amazed at the quick shipping. Faster than any other company.